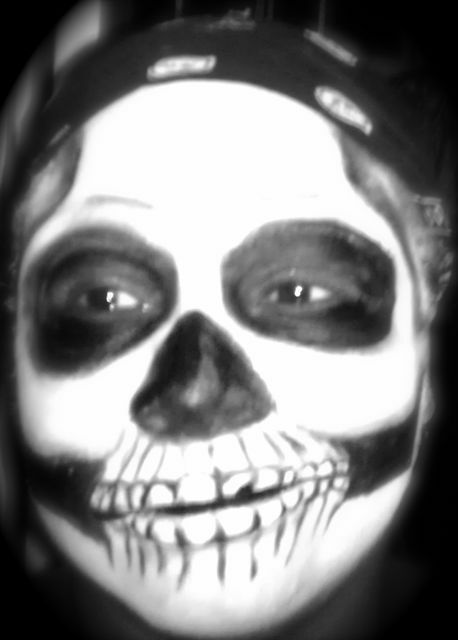 The skull look is a classic Halloween look. Just paint your face and wear all black. 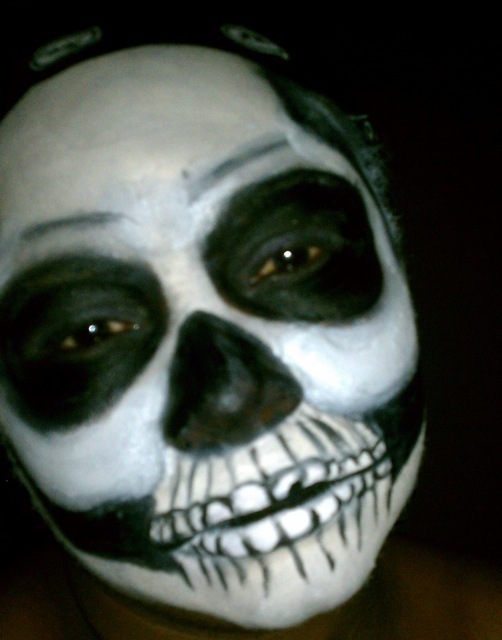 Here are some tips for painting your face as a skull. You can find plenty of pictures of skulls online. Print a few out and place them up on your mirror to refer to while you are doing your makeup. Before you begin sit in front of the mirror and using clean hands, feel your face to “see” the areas that are more recessed (like in the hollows of the cheeks) or high points on your browbone, cheekbones. Notice things like the placement of your teeth in your skull. 3.) Practice drawing your design out on paper first. Use a face chart, there are plenty online. Just take a pencil and start sketching in the dark areas. This will save you time later on when you do the makeup on yourself. I feel it’s easier to fix white that is outside the lines, than black. Try to stay in the lines and powder the white color before moving on to the black color. The devil is in the details. Remember things like lining your eyes with black eyeliner, or coloring your ears black. Also, you can do your hands and neck to enhance the look. Great detailed advice! You rock, Makeup Dr. Shari!